Arizer is brand based in Canada. Their previous releases include the Solo 2 and the Extreme Q, and the Arizer Air 2 (Arizer Air II) is their latest portable vaporizer to hit the market. Using digital temperature controls (without the need for an app), the Arizer Air 2 also features micro USB charging, better battery life, and both convection + conduction heating for better flavour and performance. 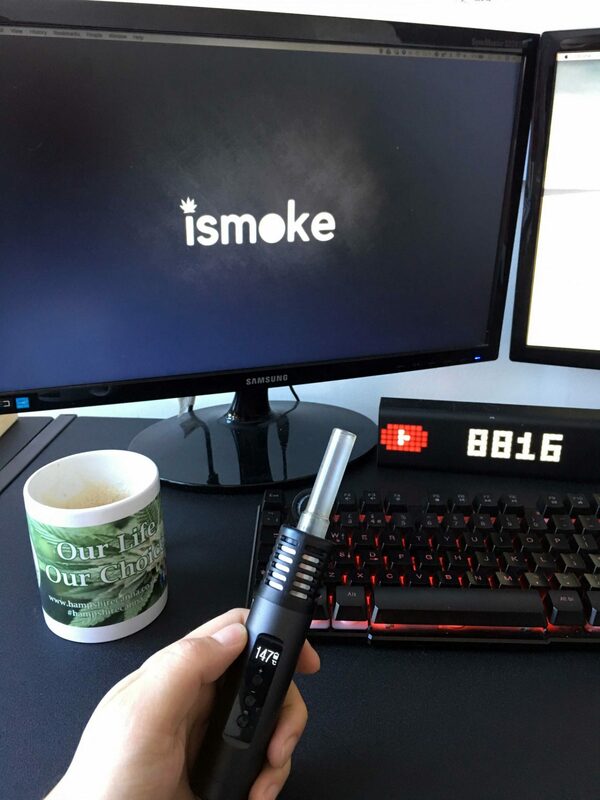 As I write this review, I’m enjoying a wake & vape of some delicious Headband 808 through my Arizer Air 2, which I’ve been using now for the past 5 days. This is the first Arizer product I’ve tried, so I can’t comment on how it compares to the previous generation, but this is a seriously good vaporiser, and since unboxing this, I’ve been using it daily as an alternative to smoking. The box contains everything you’ll need to get vaping (except the weed, of course!) – that includes the Air 2 device itself, two tips (one glass, one plastic-tipped) plus an aromatherapy attachment. 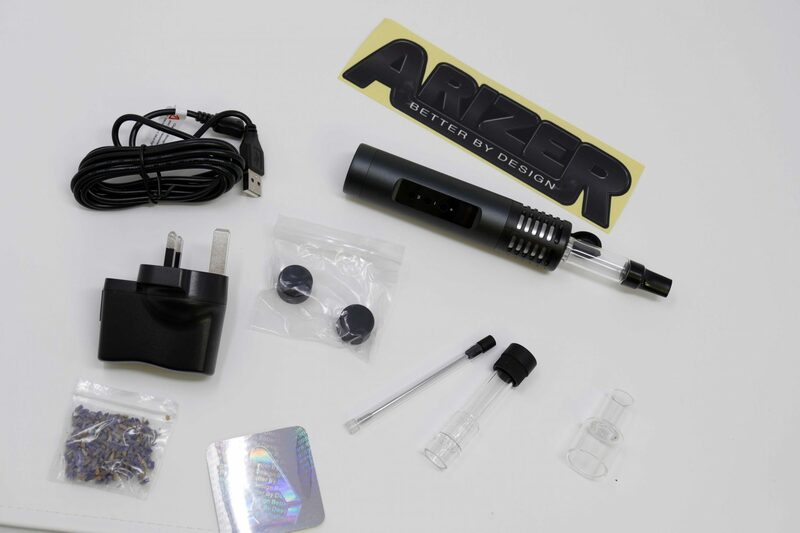 You’ll also get storage tubes for your glass tips, gauzes, a charger for the device, a handy tool and some replacement rubber bungs, along with the manual which has everything you need to know about operating the Arizer Air 2 portable vaporizer. Last but not least, Arizer have also provided a belt-clip holder so you can carry your Air 2 easily without the need for pockets. 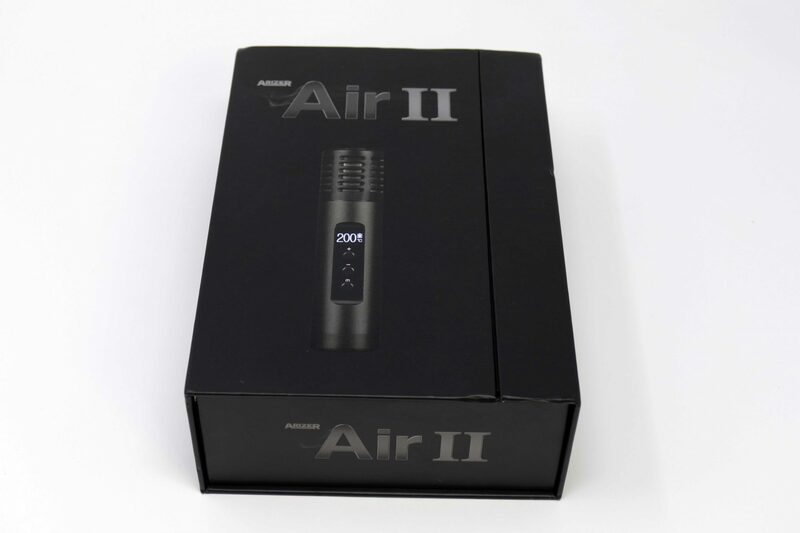 Straight out of the box, the Air 2 looks like a solid and well-designed vaporizer. The sturdy yet elegant design of the body has both a premium weight and feel, although, weighing in at just over 118 grams, it certainly doesn’t feel on the heavy side. The tips are engineered so that you can load and clean them easily. 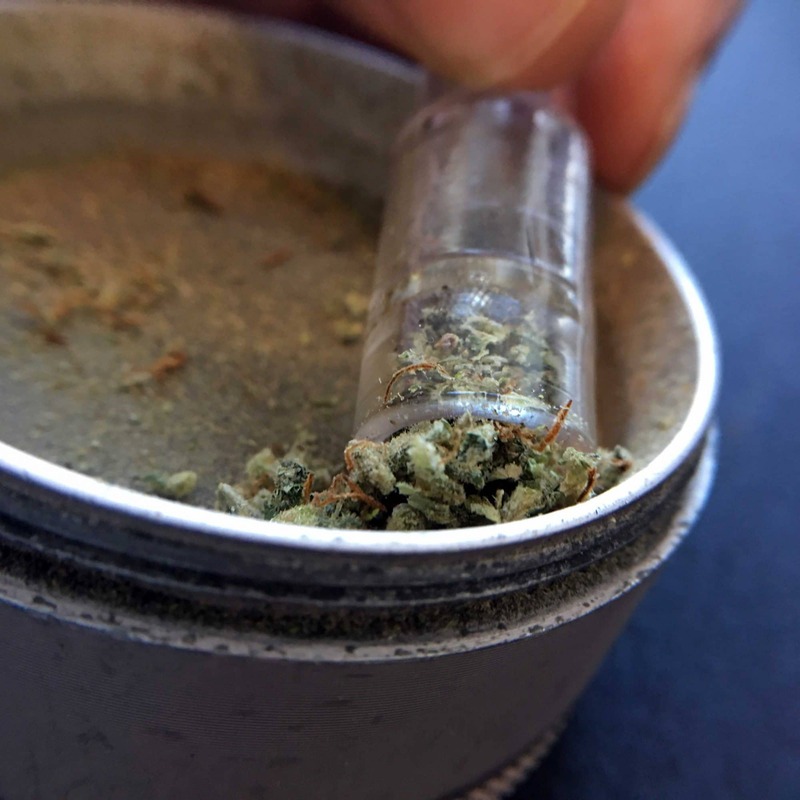 Each tip’s chamber stores around 0.15g of herb. This tends to result in reasonably efficient vaping, as I’m getting around 8-11 minutes per session/chamber. Loading it up is as simple as placing the gauze in first, then dipping the chamber end of the tip into your grinder to pick up the herbs. Here’s a tip: You can also pre-load the glass tips, allowing you to store them for use later on in the day. It’s always good to be prepared! 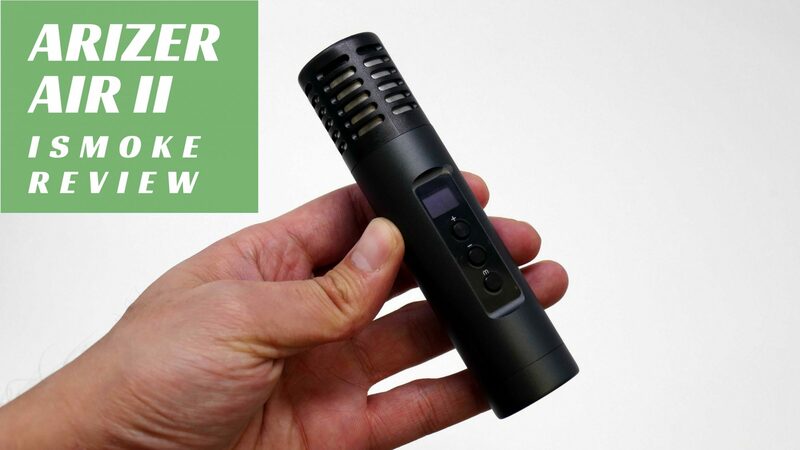 While the Air 2 has brought the Arizer Air range into the digital world, it has certainly not come with any overcomplications, so both tech wizards and technophobes can appreciate this device. It’s as simple as filling it up and putting the tip, herbs down, into the arzer air 2 unit. The tip will fit very snuggly at first, but will get easier to put in once you’ve heated up the device a couple of times. Press the m and – buttons at the same time and you’ll see a countdown – then the vaporizer will switch on, and you cam just press the + button once to start it heating up. If you want to change any settings on your Air 2, simply press the m button while it is switched on, and it will cycle through your different options, which include things like switching on time (2-8 seconds), temperature (50-220 degrees Celsius), device beep volume (can be set to off) and device screen brightness. The Air 2 stays heated to your set temperature continually while it is switched on, meaning you don’t need to press a button or draw air through to heat it up. 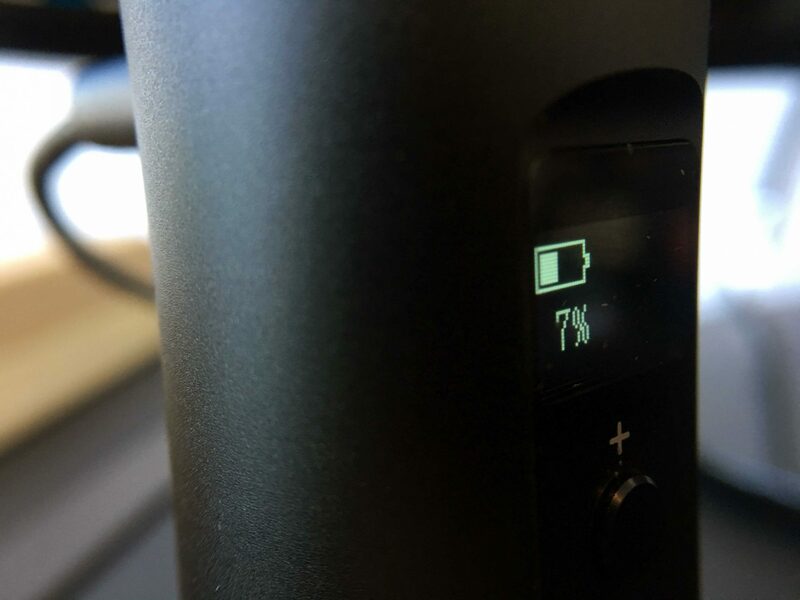 The Arizer Air II charges via a standard Micro USB. Included in the box is a charging plug and micro USB lead, but I found I could simply plug it in to charge up with any lead (e.g. the ones I use to charge my PS4 controllers that are already plugged in). 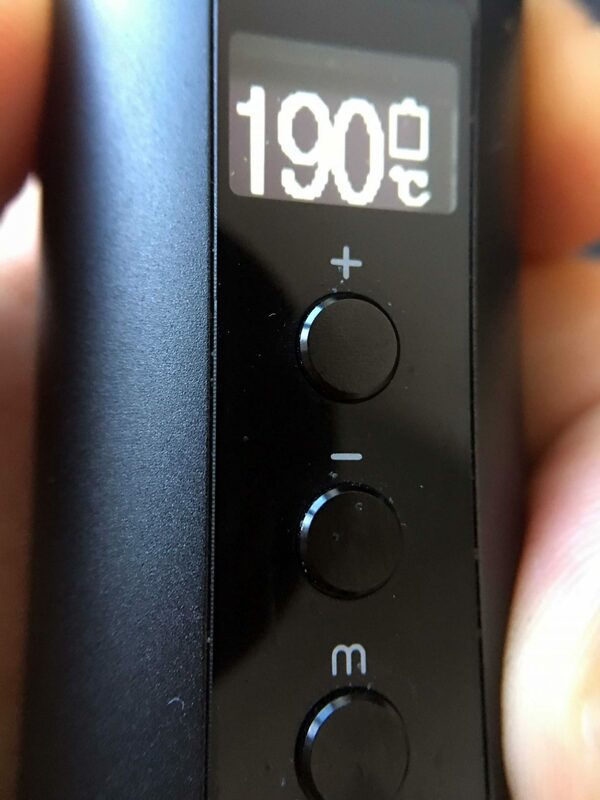 While the device is charging up you can see the percentage of battery, a great feature as it doesn’t need to be fully charged for you to use it – there have been a couple of times I’ve taken it off charge at 50% to vape, and the device handles it without any issues. In terms of battery life, the Air 2 mentions that it delivers an improvement over its predecessor, and I’ve noticed that I can easily get 8 or more 11-minute vaping sessions out of this before it needs recharging. The one area in which the Air 2 perhaps leaves room for improvement is with its heat-up time. It takes over one minute to get the device up to the right temperature, plus a few more seconds before the vapor production begins. This means that if you’re looking for an instant hit, the Air 2 may not be the best option. However, while it’s slow to heat up, once the device is ready, it produces good vapor until the unit is switched off or goes off automatically as per your settings. Since using this device, I’ve found that I like this heating method more than the instant on/off method used by some other vaporizers on the market, as it allows me to get a solid and consistent vapor production through the Air 2 that reminds me of some of the desktop vaporisers on the market. The Air 2 is very easy to clean, and you can do so with an isopropyl wipe or isopropyl alcohol. To clean, simply bathe or rub the glass tips in ISO and they’ll come up like new. Due to the design, I’ve found that I don’t even need to clean this daily, making it one of the easiest-to-manage devices I own. For that reason, it’s getting even more use! While it’s not the most discreet dry herb vaporizer on the market, the Arizer Air 2 is a device which isn’t going to attract too much attention, especially when compared to smoking. 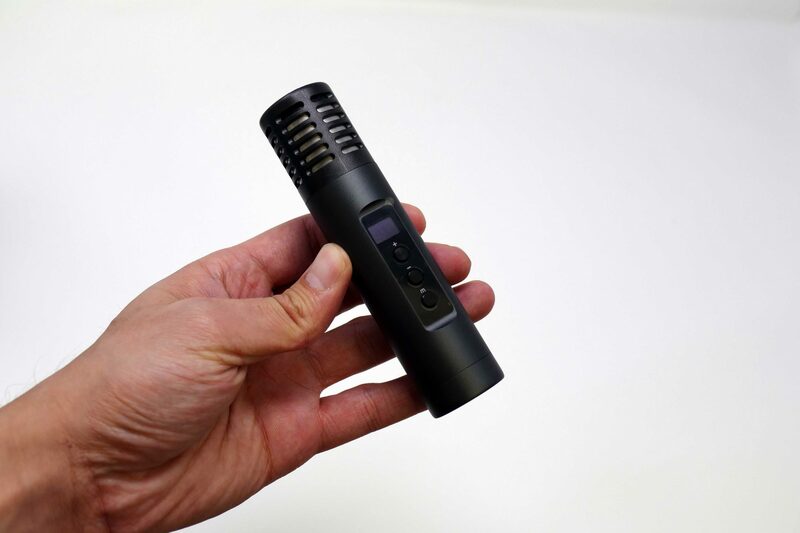 There are so many vaporizers of all kinds on the market that people expect to see them in all shapes and sizes, so while the Arizer Air 2 certainly looks unique (especially with its glass tube attachment), it remains an elegant design that doesn’t draw the eye too much with bright colours or cannabis logos. 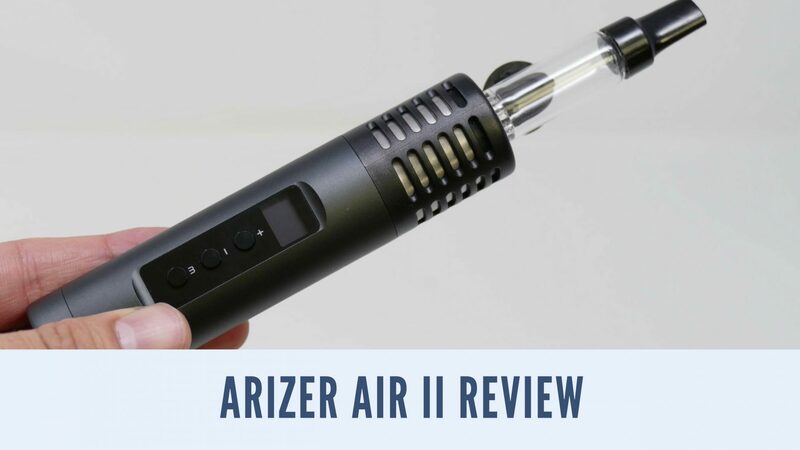 I’ve been comparing the Arizer Air II to other portable vaporizers I own, and I must say that it is coming up as one of the best on the market. 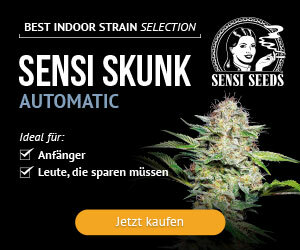 In fact, I’d go so far as to say that this is currently my favourite portable dry herb vaporizer. 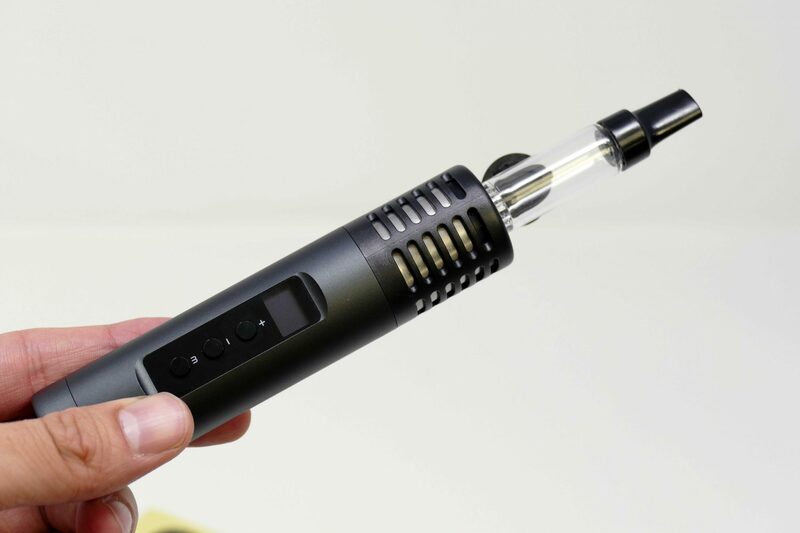 I love the design, the ease of use, the portability and the power of the Arizer Air 2 and I can see myself using this daily – it makes vaping herbs a pleasurable experience that doesn’t require any effort in the slightest, and for that reason I can recommend this as an excellent choice for those looking to vape cannabis. It’s a shame this device doesn’t do extracts, because I’m sure the flavour through the Air 2 would be great, but perhaps that’s something to look forward to in the future. 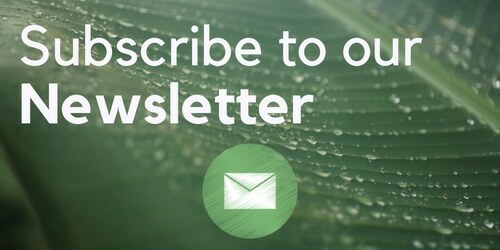 Want to know more, and to see the Air 2 in action? You can watch our video review below!